I didn't see Brady speak this morning - I believe it was Nelson and Higgs that spoke (this was when they came back with what the jury wanted to see). Brady was there for the request - but she wasn't there for the 2nd part. This witness has a lovely voice. If the verdict is death, we will need a new governor to carry out the verdict. What is the cost comparison to him living out the rest of his life, say possibly 60 years, in prison versus appeals? Wow, that was fast. 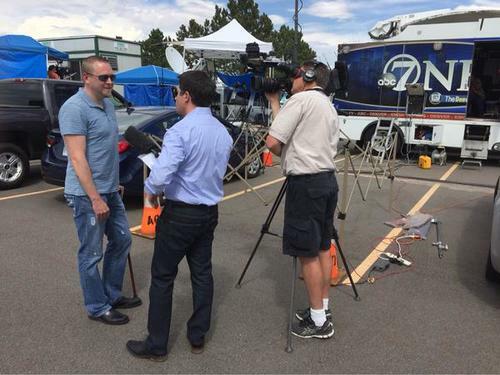 Just want to say thanks to Denver 7, Phil, Anica, Marshall, everyone. Coverage was awesome. I am going to miss everyone on this chatroom, but I am glad this is over. Anyone anticipating an outburst in the CR today? JH is probably going to show any emotion period! He hasn't so far. Goodness, that's a hard survey question. Can't answer it yet. My finger is hovering over Yes, then No, then Yes, etc. I think death will be carried out once appeals windows are exhausted. Besides, they don't have enough appeal wiggle room to work with. You won't find mistakes in record. Samour runs a tight ship. I agree with all the posters comments on the job done by Phil, Anica and the others in presenting this live feed and blog for us! Great job 7News! Remember Brauchler told them to look at this video if they had any doubts about the DP. So at least one juror had doubts. The question is whether doubts were resolved or made firm. Respect for the jury decision no matter what. This jury has served well. Thank you Channel 7, Phil and Anica for everything! You guys are amazing and you rock! It's been fun chatting with everyone! Good luck and god bless! Just wanted to say this has been a unique experience watching the trial this way, with all of you. Phil and Anica, thank you for your patience! ABC7 thank you for your tireless technical efforts. @flip, here is what I found: "A new fund to help the victims of the Aurora theater shooting has begun accepting donations. 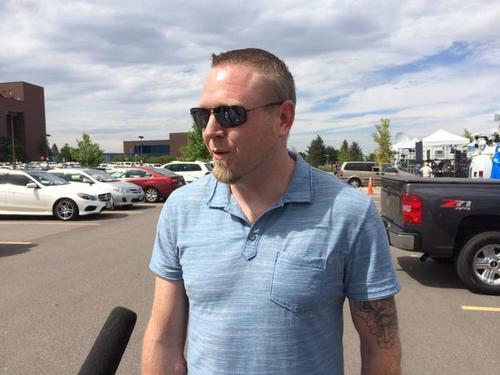 It's called the National Compassion Fund/Aurora, and organizers say one hundred percent of the money that's donated will go directly to the victims. The opening of the fund coincides with the trial of the shooter, which begins today and is expected to last for several months. To donate, visit NationalCompassionFund.org or text SURVIVOR to 84465. The fund was founded by the National Center for Crime Victims, as well as the victims of several massacres, including 9/11 and the shootings in Newtown and at Virginia Tech. Executive director Mai Fernandez says it was the victims themselves who came up with the idea." I think we need to fast forward and read the verdict, I don't really see the point of all these questions they are akin the girl, what does this have anything to do with being victimized? Also, applying cost issues to death penalties is a silly fallacy. @flip...here is the fund that was initially set up, I don't know if it is still going, but there is a phone number included. Warning though...some of the families didn't receive any of the funds, there were a lot of issues when the $5million raised was administered and how it was administered. @Phil Do you have a clip from today? With the request from the jury? @Resa...I expect the victims to be very emotional and Arlene Holmes to break down...Jimmy didn't just kill 12 people in the theater...my guess is he has killed his mother's spirit as well. I have to keep signing in to make comments. I'm anticipating some audible cries. On a separate note, the verdict was reached so fast!! The jury is done with JH's fair and impartial trial that has taken up months and months of their "admonished" lives. The final phase is coming, Jimmy, and justice WILL be done. If DP, then I hope it will be later on tonight!!! And to the cost of DP vs LPWP ...who can really put a price on the victims ... the lost lives? I know I can't... and I am from Colorado! @FPsych - they can appeal all they want, but don't you think the appeals will be denied? What can they possibly appeal? @Phil - do you expect any witnesses for either side to testify at the sentencing hearing? Thank you, Liz--I appreciate it. 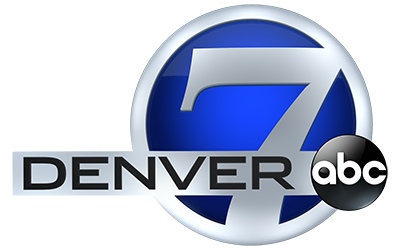 Echo the sentiments to Denver Channel 7 (DC7) for the outstanding live blog support for us viewers. THANK YOU! To all at ABC7- we have at times tried your patience so an especial thanks for the opportunity to see this play out. Very interesting to see all the opinions and concerns. after all is said and done will the video be released to the public?